Today we have for you "Kaleidoscope" from Arc Iris. The clip was directed by Julia Liu. The track is from their upcoming album, Moon Saloon which is set to be released on August 19. You can pre-order it HERE. Arc Iris will begin their residency at C'mon Everybody on July 5. See below for dates. 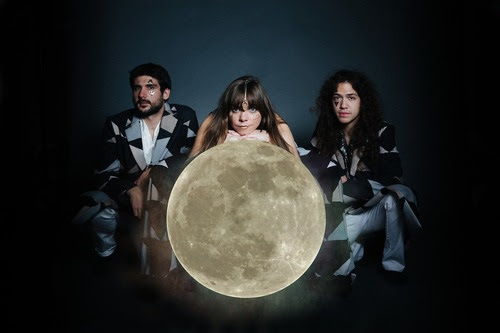 Moon Saloon developed from the band’s distillations of musical influences, combining traditional elements with percussive structures and dense, beguiling harmonies. In many ways this second album captures Arc Iris’ musical odyssey as a band. “It has a heavier sound, more intense,” says Arc Iris keyboardist Zach Tenorio-Miller, who makes liberal use of sampling in many of the songs. The group matches an unusual array of organic acoustic instruments with layered electronic sounds.